Google Cloud Text-to-Speech is a text-to-speech conversion service which got launched a few days back by Google Cloud. This was one of the most important service missing from Google Cloud AI portfolio which is now available and completes the loop for text-to-speech and speech-to-text services by Google Cloud. In next few weeks, you will learn about different usages of Google Cloud text-to-speech service with other Google cloud services. 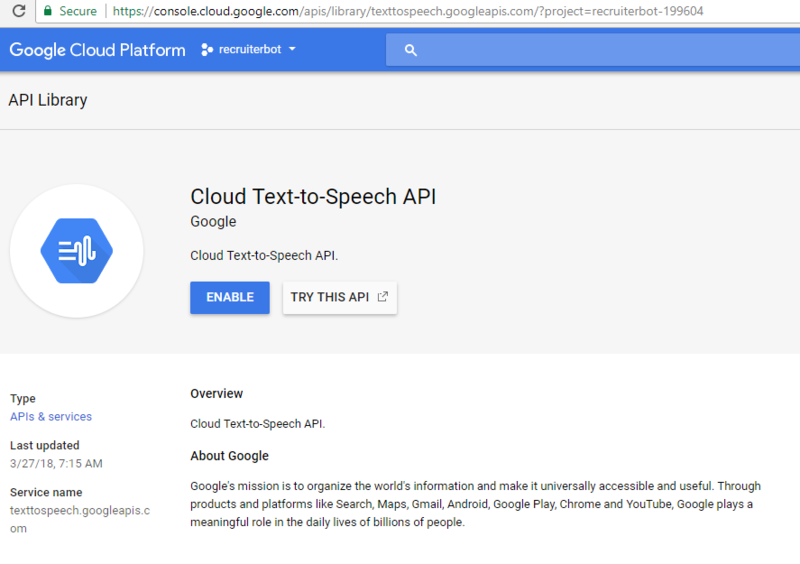 Enable Google Cloud Text-to-Speech Service; Follow this page, Cloud Text-to-Speech API to enable the service. Do not forget to select the project you created in above steps. Download the service account key; It gets downloaded as a JSON file. Create a Spring Boot (Spring Starter) project or a Maven project from Eclipse IDE. Right-click on the project. Click on Run As > Configurations and set the environment variable as shown in the next step. 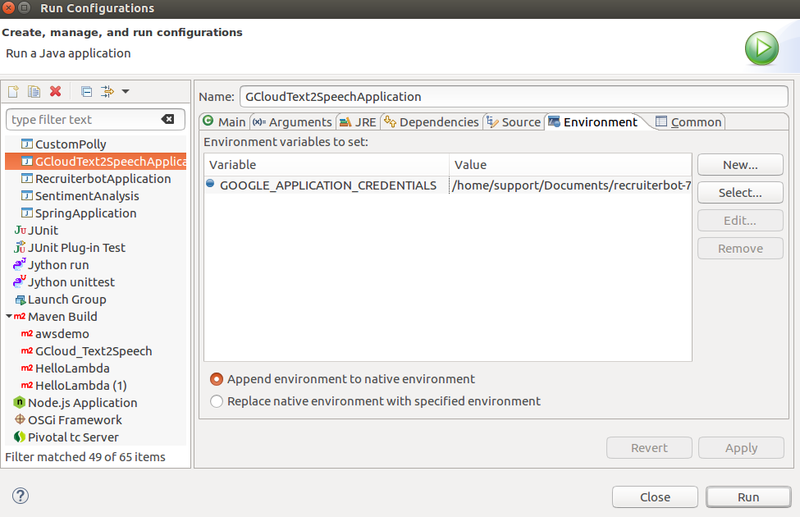 Set the GOOGLE_APPLICATION_CREDENTIALS as an environment variable in Eclipse IDE. The following screenshot represents the same. Build the voice request. Set the voice type (male or female) and language code appropriately. // Build the voice request; languageCode = "en_us"
AudioConfig audioConfig = AudioConfig.newBuilder().setAudioEncoding(AudioEncoding.MP3) // MP3 audio. // Write the response to the output file. 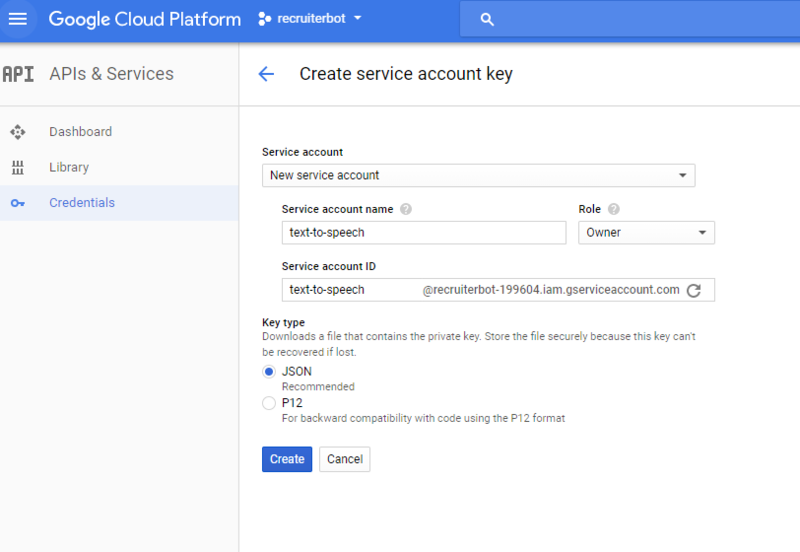 In this post, you learned about how to get started with Google Cloud Text-to-Speech Service using Java/Sring Boot app. Did you find this article useful? Do you have any questions or suggestions about this article? Leave a comment and ask your questions and I shall do my best to address your queries.